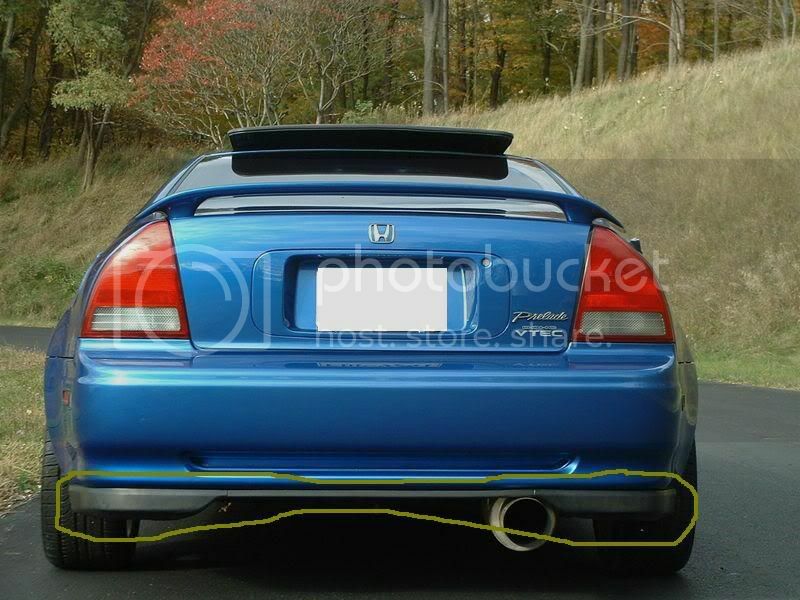 looks like one of those stock/OEM front lip and transferd at the rear bumper. is that ryt? Last edited by acole23; 01-12-2010 at 07:02 AM. ^^Yeah, he's got it right. 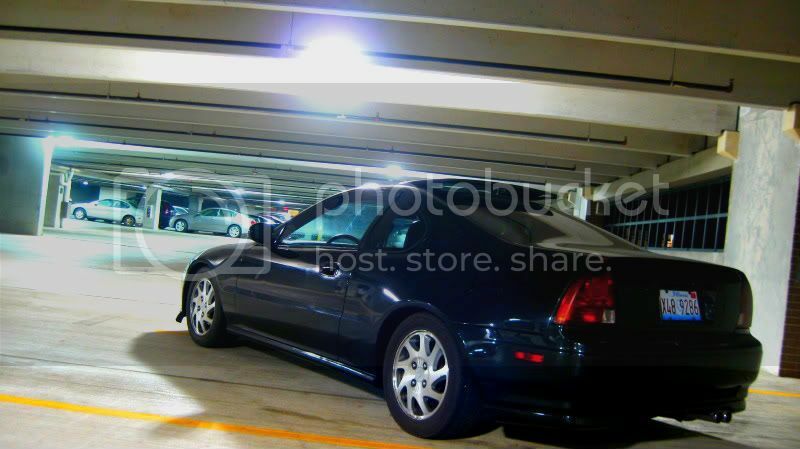 Not the best pic but here's what it looks like on a black Prelude. People have been doing this conversion for probably like 8 years. It's nothing new. Just a cheap way to have a clean rear lip. thanks! lol. i thought it kinda like straight bold on.